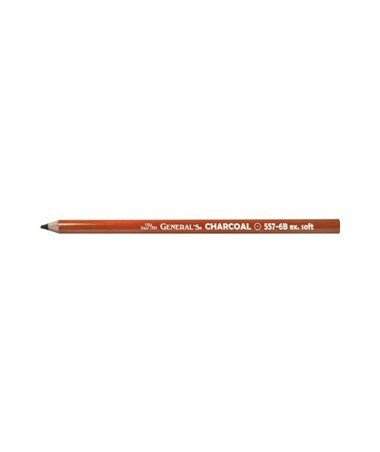 The General’s Charcoal Pencil is a high-quality drawing tool for professionals and non-professionals. It is made of highly carbon and fine organic blacks that produces rich, black lines that are ideal for drawing and sketching. It features a smooth cedar casing that provides durability and solid support to its charcoal. The General’s Charcoal Pencil is readily usable with its pre-sharpened point. It comes in four different degrees—2B, 4B, 6B, and HB—to accommodate a wide range of drawing applications. 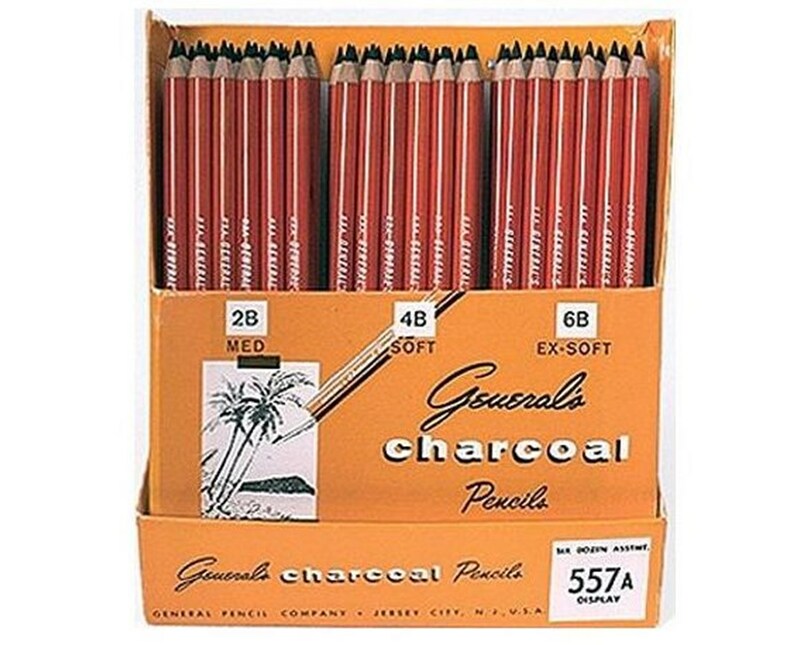 It is sold by the dozen or in a 6 ½”L x 1 ½"W x 7 ½"H display that contains 72 assorted charcoal pencils. 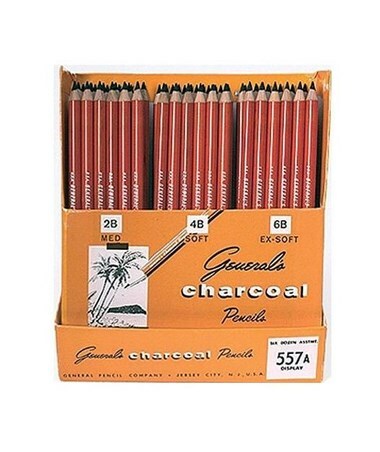 The General’s Charcoal Pencil comes in four different degree variations and two package options. Please select your preference from the menu above.